Veteran Dodge Demon owner finds another A-Body beast. Fresh from a stint in Guam in 1971, Mike White had the urge to plunk down some hard-earned cash on a hot-to-trot Mopar with a 340-V8 engine. 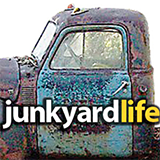 The word on the street was that the 340-cubic inch could best many big block and 383-equipped muscle cars in a straight line and make them eat dust on a winding road because of their light weight. It was more than fate that led White to a deal with two devils. 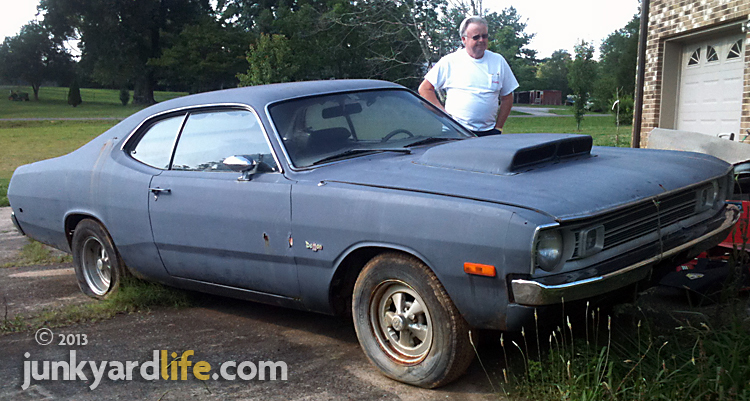 Mike White located and bought this 1972 Dodge Demon in Iowa in 2003. Fond memories of his Demon days in 1971 influenced the purchase and delivery of this ’72 Dodge 340 to Alabama. White, back in the states after serving 2 years over seas, began his search for Mopar muscle in 1971. He shopped all over town for a 1971 Plymouth Duster 340 but couldn’t find the more popular Mopar. 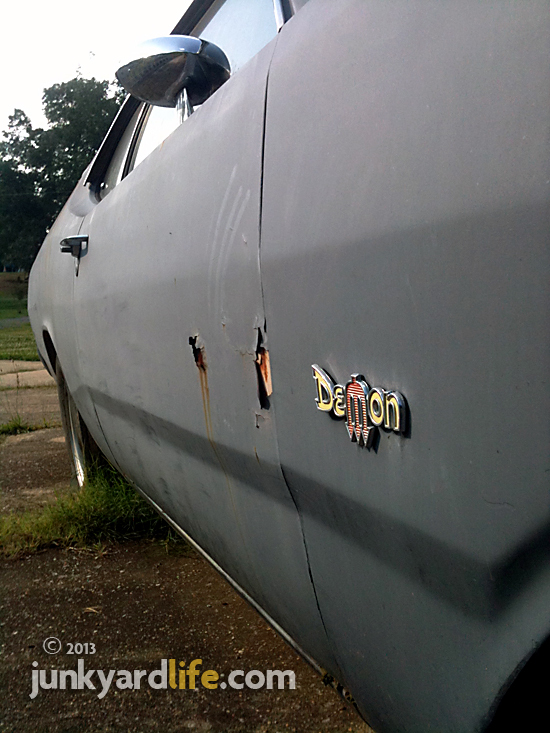 Finally, he located a 1971 Dodge Demon 340 in Birmingham, Alabama. 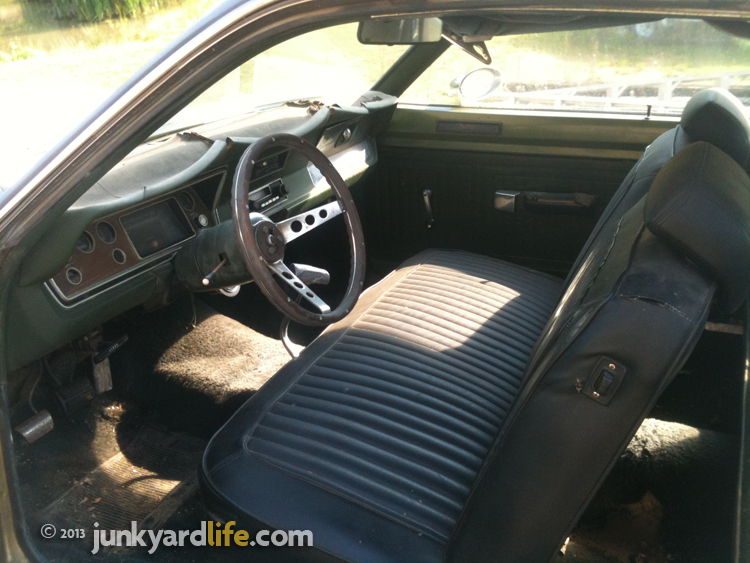 It had the 340-V8 with a 4-barrel carburetor, TorqueFlight automatic transmission and Sure-Grip rear end. It was the perfect combination to get White’s adrenaline pumping during stoplight showdowns. Unfortunately, military duty called and White had to leave the Demon behind. With no plans to sell the nearly new Demon, White relied on his family to maintain the Dodge while he was away. In 1972 the Dodge Demon’s 340 was saddled with lower compression, 8.5:1, and rated at 240 hp. In 1971 the 340 made 275 hp with a 10.75:1 compression ratio. Horsepower numbers were measured in net hp, instead of gross hp, starting in 1972, which also contributed to the lower number. 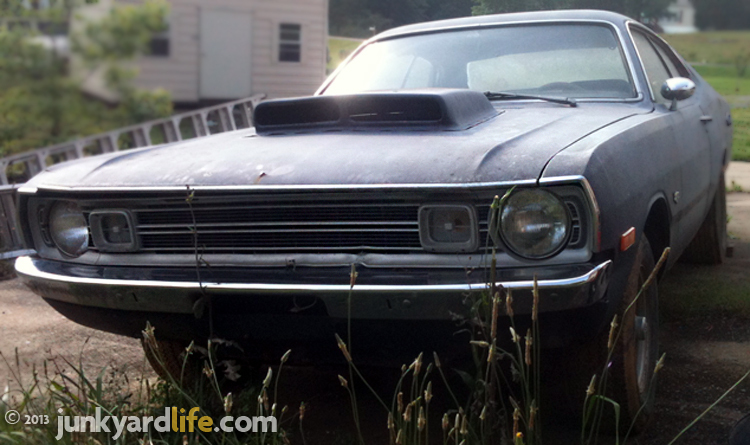 Mike White's sister was lucky enough to become the caretaker of his "new" Dodge Demon while he was deployed to Thailand in 1972. White returned in 1974 and learned out how much his sister liked the Demon during her two years holding the keys. "Not long after I returned home, I took the Demon out, it had been raining," White said. "I got on it a little bit and the Dodge swapped ends. It spun around quick." White righted his path and made it home safely. 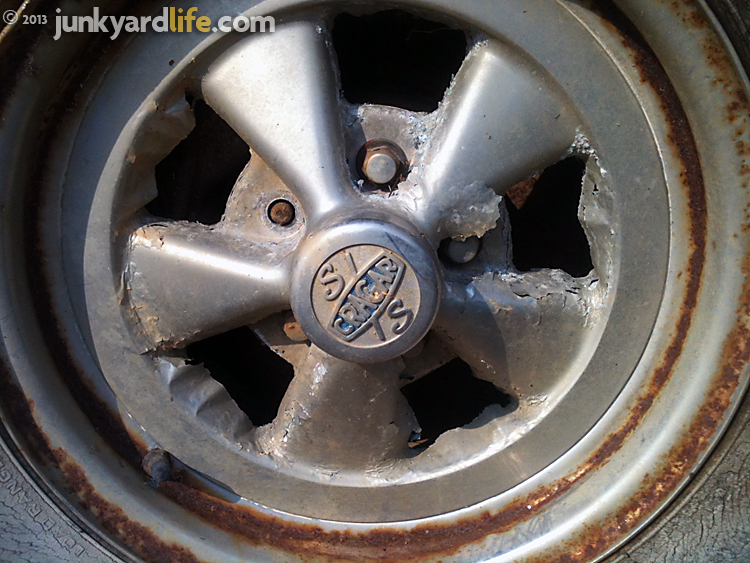 "I discovered both of the back tires were bald." White’s sister had driven the car for two years, back-and-forth to college at UAB in Birmingham, Alabama. "I found out that she took care of it alright," White said. "She kept the valves cleaned off." Today White's sister still enjoys putting her foot down in her modern hot rod, a California Special Mustang GT. White didn’t mention if his sister had let him "borrow" her car. Mike White looks over his 1972 Dodge Demon 340. The 1971 Demon that White traded off decades ago left him with a lot of good memories. Memories that White, a military veteran and retired truck driver, wanted to recapture. In 2003, he got the urge to relive his glory days in another Dodge Demon. His job, which required him to travel coast-to-coast, allowed him to check out Dodge Demons all over the country. Demons are difficult to find due to their low build numbers during only two years of production. The primered ’72 Demon that White now owns was courtesy of an internet search and first-hand inspection of the car in Iowa. White and his wife smile when recalling the fun that was had in the old Demon. 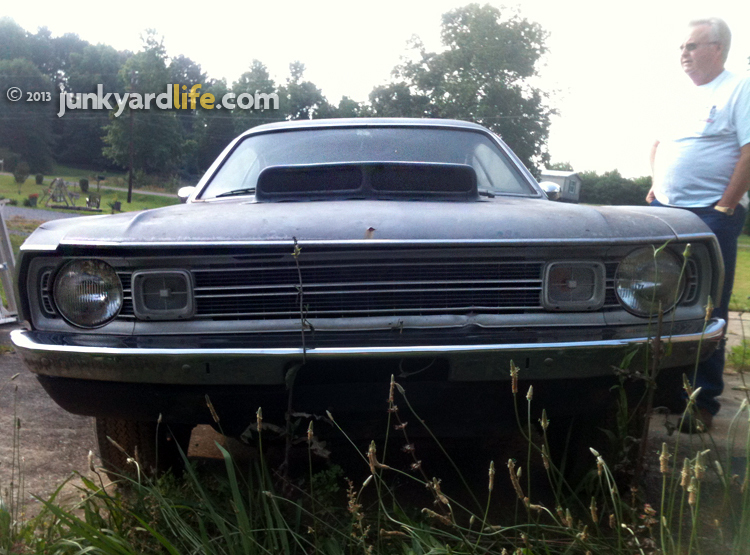 The ’72 Dodge is White’s retirement project and he has no plans of letting go of this Demon. 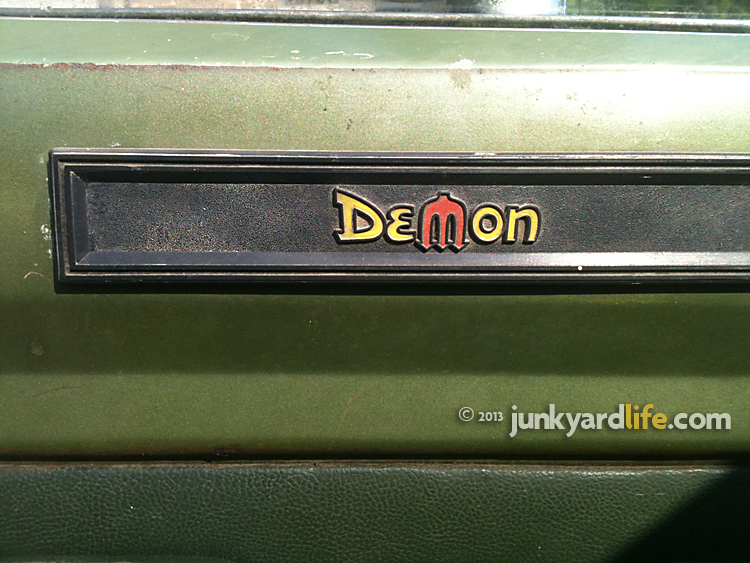 Dodge’s Demon name, emblems and little devil decals were a hot topic at religious gatherings. Not in a good way. A factory heavy-duty, three-speed, floor-shift manual transmission stirs the gears in this 1972 Dodge Demon 340. This ’72 Demon was originally painted Gold with a green interior and slippery vinyl bench seat. 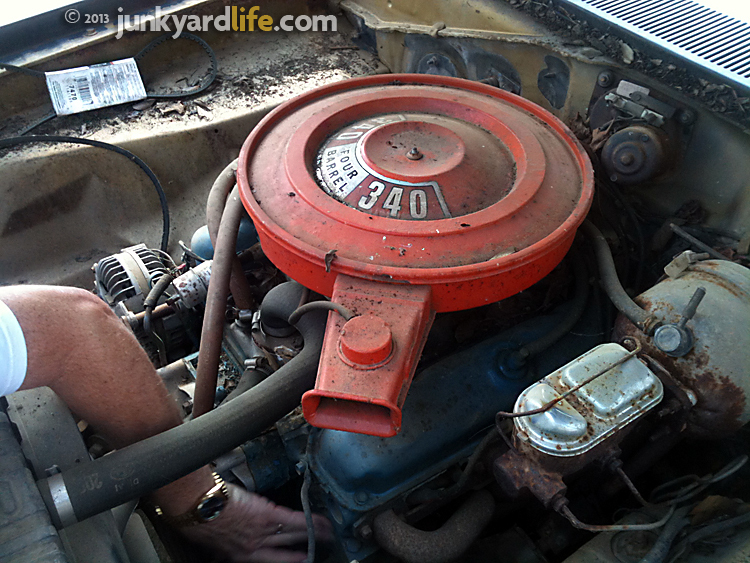 A previous owner attached a 440 Six Pack hood scoop to give the Demon an attitude adjustment. Dual chrome sport mirrors still shine on White’s 1972 Dodge Demon. 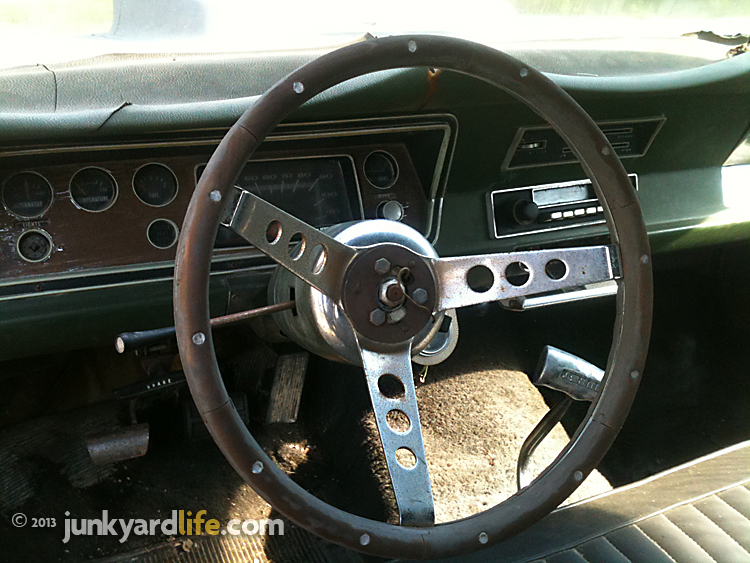 1972 Dodge Demons were equipped with 120-mph speedometers and standard gauges. 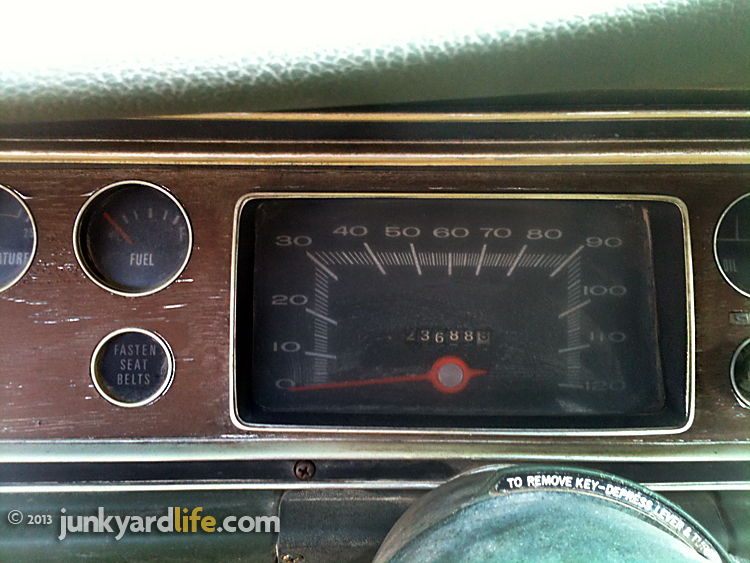 The 1971 models featured Rallys gauges and a 150-mph speedo. Big and little crusty Cragar S/S wheels alert you to the Demon's sinful street transgressions. 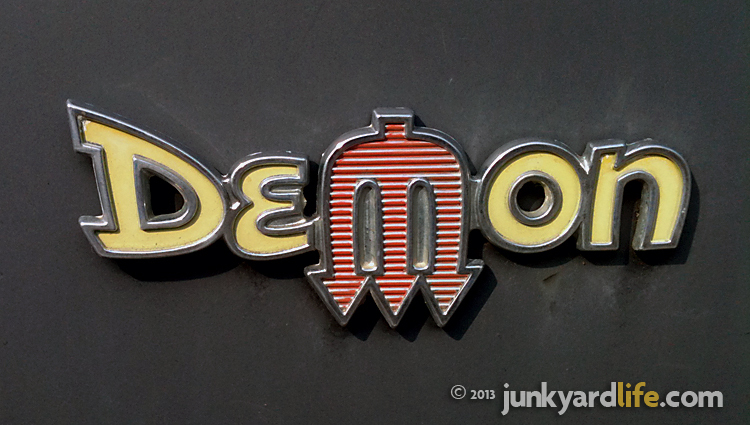 Demon logo with red pitchfork "M" was proudly displayed on the doorpanels of the 1971-1972 Dodge Demon A-Bodies. Speed Demons and bad dudes/dudettes everywhere are smiling. Dusters outsold Demons by a wide margin.